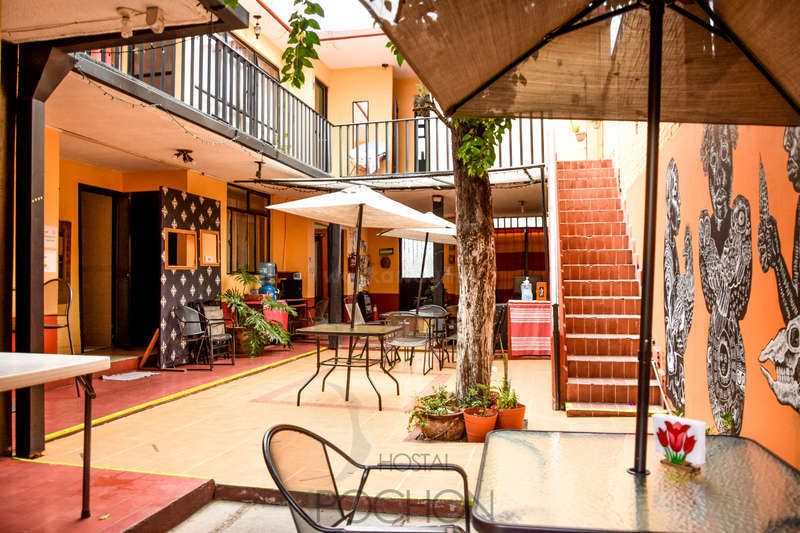 The Hostel is located in the heart of Oaxaca city. Only a couple of minutes' walk and you are at Santo Domingo church, bars, clubs and restaurants that the Zona Colonial has to offer. We are a fun, comfortable and safe place where you can meet other like minded travellers. For our part, we prioritize the volunteer feel at home. I need someone who can speak English and Spanish (basic) to work at the reception and who helps cleaning the common areas, maintenance work and also social media work ( facebook, website) ect. This is low season so the work will not be exhausting. We can adapt you timetable to your needs and our needs. Please only apply if you can speak English and some Spanish. Minimum stay: one month. We are located in the city center, and is a great advantage because you can explore the historic center with its museums, churches and all the tourist and historical content, you will be immersed in our culture for some time and perfect your Spanish. All the amazing feedbacks kinda speak for themselves. The breakfast that you get is super yummy and prepared by the lovely Alo! Everybody I got to work with was really nice and kind. & once again Erika is just a star! She is so accommodating to anything you need! She gave me 4 and 1/2 days off when I wanted to go for a hike in the close by pueblos and even offered me her tent ;) You are treat like a friend and not just like a worker. After my 6 weeks at Hostel, I can confidently say that this workaway opportunity easily surpassed my expectations and was a thouroughly rewarding experience. 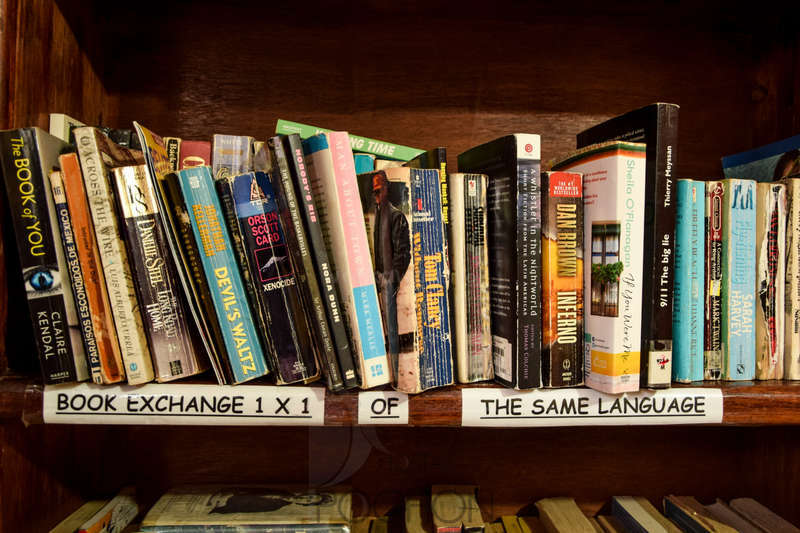 The work itself is a great chance to practice your Spanish (regardless of your level) in a completely supportive environment. Although I sometimes faced situations In which I was unsure of… read more what to do, Erika was thankfully always available via a call or WhatsApp to help me out. As for the hostel itself, It was convenient in so many ways. In particular, being across the street from a delicious and interesting local market was a huge plus. All in all, I would recommend this opportunity to any traveler willing to immerse themselves in beautiful Oaxaca. Sarah is a lovely girl, she brings great positivity to our group setting! A very good team player and always a nice person to hang around with. Sarah is very responsible and a helpful person. I highly recommend her, you will be happy to have her as part of your team. We would love to have her again with us. We will miss her a lot! Erika's hostel was the perfect place for me to have my first workaway! 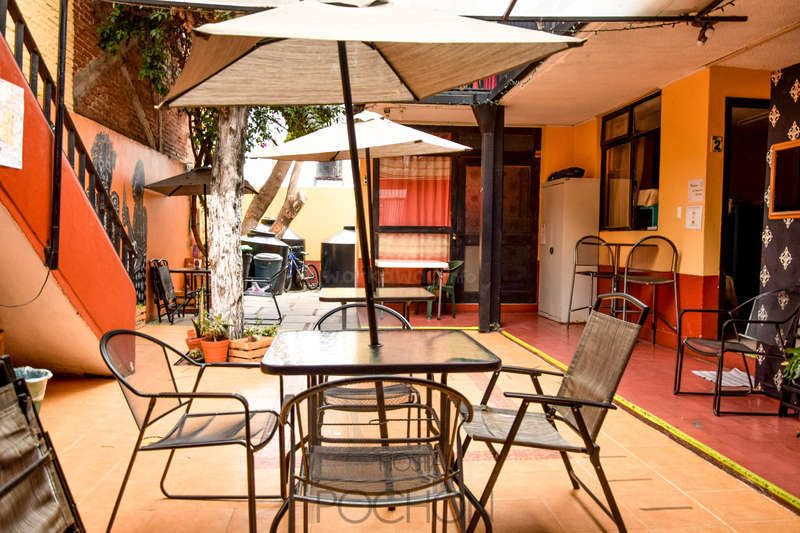 Oaxaca is amazing, filled with friendly people, delicious traditional Oaxacan food and the hostel is in prime location to get around the city center. Erika is very flexible when it comes to work schedules, always allowing us to request certain days off to plan trips and… read more scheduled me around my language exchange which helped a lot. Although I am still practicing my Spanish, everyone was really helpful and the reception work is not hard at all. I thoroughly enjoyed working with the other volunteers and making life long friends as well as a second home in Oaxaca. I will definitely be back to visit and even if it's as a guest I will be staying here for Alo's hot breakfast! Thank you for everything!! This was my first workaway experience and am so happy to have spent my time working in Erika's hostel. Erika is so friendly and welcoming and the hostel feels like a second home. I had such a memorable experience for such a short time. 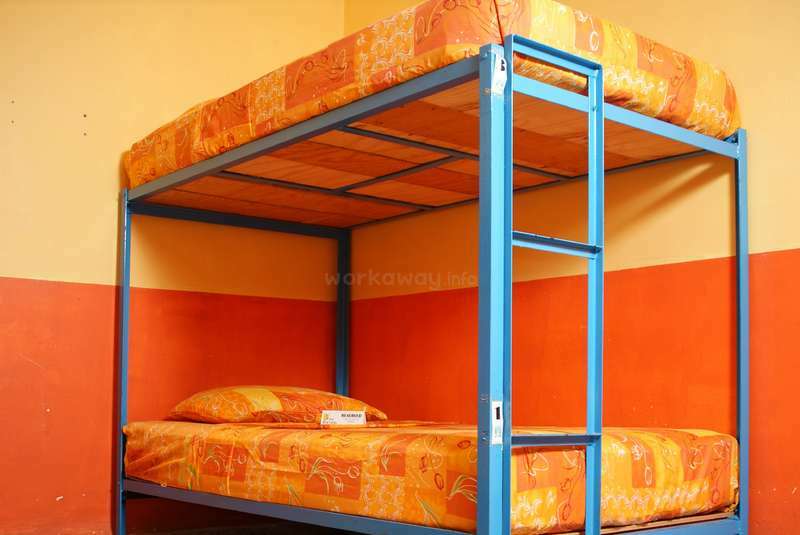 The work was very basic and manageable and the hostel is located very close to the center. Oaxaca is such a… read more vibrant city and I loved the time spent there. Tuvimos la oportunidad de tener a Mike con nostros. Es una persona responsable y amigable. Siempre tuvo una buena actitud de servicio y compañerismo. Siempre fue amable con los huéspedes y con el resto del staff. No duden en aceptarlo! Lo recomendamos ampliamente! 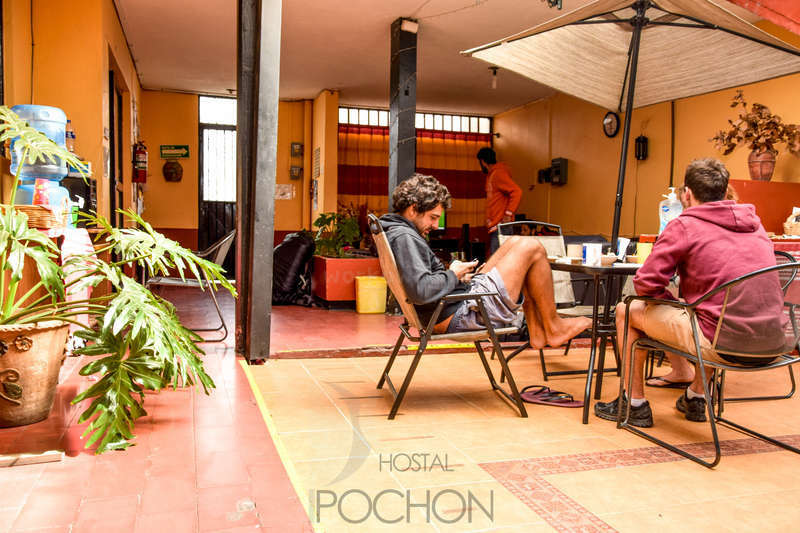 We had the opportunity to have Remi with us in our hostel in Oaxaca city for approximately 3 months or more. He was proactive, always willing to help. He was working at the front desk but also painted some rooms and helped us fixing things in the hostel. He was responsible and collaborative. I highly recommend him as a volunteer. The hostel is absolutely charming, as well as the host, Erika, and both contributed to making Oaxaca feel like home. The work is fair and easy and Erika is really accommodating. I‘d highly recommend the place, and the city to anyone. I wish everyone there the best and I know I’ll swing by, as many former guests do, if ever I come again to Oaxaca. Alexia was wonderful to have around. She is friendly, sensitive and very responsible person. She offer to work extra when we were lack of volunteers. She also helped the new volunteers to understand our booking system. I highly recommend her to work at your place and I would accept her again without any doubt. We wish her a great trip. Xuan is a very nice person, she was willing to change her arrival date in order to help us at our front desk and I really appreciate that. She did all the tasks as we asked her to. She was very flexible with the schedules, and we agreed very easily on everything. Xuan is responsible and collaborative, I definitely recommend her as a volunteer and… read more she is welcome to come back!. Volunteering at Erika's place and with her and all the hostel family(Alo, margo, memo and other volunteers) is an amazing experience. The work is very easy and raisonable. Erika always does her best to make everyone happy and comfortable.And she is soooo Smiling!! 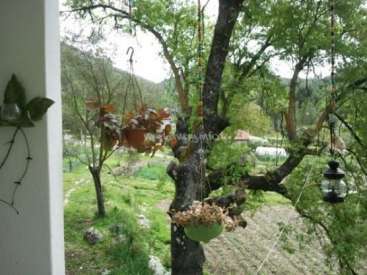 The place is close to the market and 10 mins ' walk to the center. Oaxaca city is… read more such a p lace full of art, culture, music..If you have any chance to stay longer in this charming city, don't hesitate to stay with Erika. We had the opportunity to have Edward with us, he is a very nice person, he created a great atmosphere in the hostel. All the Staff, volunteers and guest felt really happy and comfortable with him around all the time. So we highly recommend to any host that has the chance to. Edward is also very handy, he helped us fix our dryer and repair an… read more electric system. So many thanks for all your help Edward, we really appreciate it, and hope to see you again some other time. Have a great trip and be well!!! Nuestra experiencia con Maria fue muy buena. Ella es una chica muy amigable, sonriente y con una excelente actitud de servicio y ayuda. Siempre realizó las tareas que se le dieron, tiene una buena ética de trabajo y compañerismo. La recomiendo ampliamente. Con gusto la volvería a aceptar en nuestro equipo. We had the great opportunity to work with Austin and Elizabeth (and Alfie) They were very helpful all the time and always with a proactive and happy attitude. They were very nice with our guest and created a good atmosphere of friendship. Elizabeth helped us re-organizing our kitchen and common area which made a great improvement. We totally… read more recommend them! My experience in hostel was really nice! The hostel is well equipped and the breakfast is always different and always good! The others volunteers and the workers there are really nice and helpful:) The work is easy too and you can manage your time very well. my experience at the hostel was so besutiful. the work is easy.. it is a reception work and a bit of cleaning and . I worked 4 days a week 6 hours a day. the other volunteers were so nice and i met a lot of travellers coming to the hostel. i had so much time to go and explore the magical oaxava. I had a great time as a volunteer here at the Hostel. 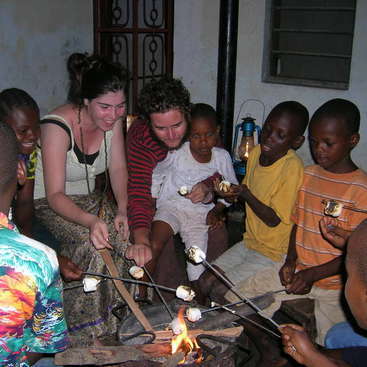 The volunteer work is a good balance of hostel work, reception and some cleaning. The hours are very fair, leaving you with a lot of free time to explore Oaxaca, take Spanish lessons or do other volunteer work. I stayed for 3 and half months and it flew by. The other volunteers were all fun and… read more ended up being good friends with them. I also met a lot of other interesting travelers from all over the world. The hostel is laid back and fun, and we had some great group pot lucks. Erika is a very nice host, very accommodating, patient and is very easy to work with. Thank you for the experience and hope to return! Tuvimos la oportunidad de tener a Hanako y a Gonzalo con nosotros, trabajando en recepción en el hostal. Son una pareja muy linda, tanto nosotros como los huespédes nos sentimos muy bien con ellos. Son trabajadores, hacen lo que se les pide, con buena actitud y muy amables. Los recomiendo 100% para ponerlos en cualquier posición. Un abrazo… read more chicos! Que les vaya muy bien con sus planes.! Colin stayed with us for a month, he is respectful, colaborative, fulfilled , with a good character and a good company. He helped us making some videos for the hostel, he could capture the essence of the hostel, and could show how our cooking class is. Colin is smart, professional and always with a great attitude and kind with the others. 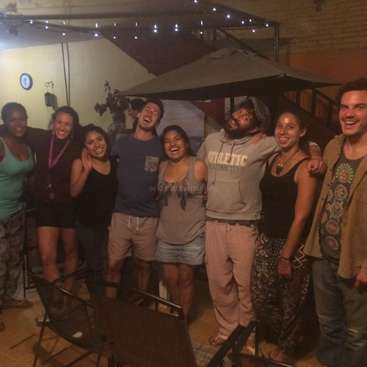 We were… read more happy to celebrate his birthday in the hostel with the staff and guests as a family. I highly recommend him to work with you at any position. We hope he comes back! This hostel was my home-away-from-home for almost a month when I (Colin) was travelling solo. The convivial owner/operator, Erika, and her staff made me feel warmly welcomed. Each morning, Alondra (Alo) fed us an appetizing and varied breakfast menu of fresh fruit, coffee and a hot entrée—typically a Mexican plate of beans, eggs, corn tortillas… read more and salsa. She also kept the hostel looking spotless. I thoroughly enjoyed the company of the staff who felt more like family to me. They patiently helped me in my attempts to learn Spanish. During my stay, the average age of sojourners was late 20s/ early 30s. Everyone was respectful, and I appreciated getting to know folks from places far and near, including Mexico, USA, New Zealand, Spain, Argentina, Israel, UK, France, and even Kenya. The open-air common area provided a relaxing place to connect with others. I was in Oaxaca to focus on Spanish lessons and produce fundraising videos for a non-profit organization. I also put together a couple videos from my stay here, including one that captured a cooking class with Alo. This event was a tasty highlight of my stay in Oaxaca. One of the best features of this place is its location in El Centro Historico de Oaxaca. It’s steps away from Santo Domingo Church and plaza, an easy 15-minute stroll down the pedestrian corridor of Calle Macedonio Alcala to the Zocalo, and a stone’s throw from a delightful fresh food market. It is perfectly situated to access the city’s tourism hotspots yet located on a short, quiet “callejon” (small street or alley). Most mornings and late afternoons, I started and ended my day with an energetic walk up the stairs and road to Cerro del Fortin (the bottom of the stairs is only a block away). With its trees and lack of motorized traffic, this is probably the most healthy and peaceful place to exercise in a city that is congested with air and noise pollution. Thank you for the happy memories, Erika, Alo and Miriam! Lea and Daniel were with us for a month, they are a very nice couple. Always with a great mood, happy to help and they perfomred the tasks as we asked them to. Daniel and Lea help to have a good environment in the hostel by talking with the guest making them feel like part of our family. I'm very happy to meet them and having them with us. I… read more recommend them to work with you. I hope your trip is full of great stories and love! Super friendly workaway in beautiful Oaxaca city! Our time here was great (June 2017) and we loved staying in Oaxaca. The training was good, responsibilities clear and the booking system is straightforward - there was also weekly timetables, so it was easy to make plans around working! The kitchen was good and well-equipped with plenty of storage… read more (and a nice market over the road for buying fresh fruit and veg!). Erika was really lovely, and it was great to have a supportive and friendly team of other volunteers that help you feel at home. Thanks again to everyone at the hostal! Hasina and Curtis are a very nice couple. We really liked having them with us, they are easy going, friendly and respectful. Curtins helped us with our painting project, and both helped us with our board information design. Both have always a great attitude. We also enjoyed their music, their cooking and sharing meals with them. Erika, doña Alo y el staff completo hicieron que mi estadía en Oaxaca fuera una gran experiencia. Siempre cercanos y amigables, compartimos comidas en grupo, algunas salidas por las noches y muy buenas conversaciones. El trabajo es más bien relajado. Con buena disposición y siendo sociable, lo pasarás muy bien y tendrás el bastante tiempo libre… read more para hacer lo que desees, incluso durante los turnos estando en el hostal. Además, cuando quise conocer la playa, estando fuera varios días, Erika organizó los turnos dejándome 5 días libres seguidos. Esa comprensión y flexibilidad se agradece mucho siendo un viajero que quiere conocer otros lugares cercanos. Totalmente recomendado pasar por el Pochón, donde el ambiente que se logra es muy cálido y cercanos. Carlos estuvo con nosotros un mes. Él es una persona trabajadora, con buena actitud, honesta y siempre dispuesto a ayudar. Carlos es muy amigable, se llevaba bien con el resto del staff y con los huéspedes. Ya lo consideramos parte de la familia del hostal. Lo recomendamos ampliamente para trabajar con ustedes. Esperamos volver a verlo en… read more Oaxaca! The owner, Erika is very warm, friendly and smile person!! Who doesn't like her? And the atmosphere of the hostel was very cozy and comfortable! It's very easy to stay there for a long time. Jajaja. I and other staffs (including other volunteers) sometimes had lunch and explored the city together. We also shared our food, language, music and so… read more on. It was so fun!! I think that I was really lucky to find this place! I'll come back soon!! Muchas gracias, todos!! Hasta prontooooooo!!! Yujiro is an excellent person, we really love having him with us. He is very responsible, honest and a good friend. He has a big heart and a great attitude. He is willing to learn and to do everything that he is asked to. I really recommend him. We will welcome him any time he decides to come back to Oaxaca. He is part of the hostel's family.! Akiko is a lovely girl! She is always with a great attitude, responsible, honest and willing to help. She was with us in high season, and she performed her duties very well, she got along with guest and created a good atmosphere! Don't hesitate on choosing her! We hope we can see you again, you are part of our hostel's family! I was really fortunate to volunteer here. Thanks to Erika :) She is such a lovely person and super kind, also had great time with other volunteers!!! La he pasado muy bien en Erika's hostel. Espero que regrese otra vez en futuro ! Akiko is a great person. She is very responsible, honest and frienldy. She was always sharing her meals with the rest of the staff. Akiko is a lovely girl. She is hard working volunteer and always willing to help and to learn. We higly recomend her working with you! She is now part of our hostel's family! Trini es una chica amable, con buena actitud de trabajo. Estuvo en recepción, se llevaba muy bien con los huespedes y con el staff. Siempre tiene una sonrisa en el rostro y una historia que contar. Abby is a very nice person, she fullfils all the tasks you ask her to do. She is an honest and responsible person. Nos gustó tener a Pedro con nosotros, es muy amigable con todos. Cumplía con lo que se le pedía hacer. Siempre dispuesto a ayudar y con buena actitud. Muy linda experiencia aquí! Erika y Doña Alo son lo más. Super buena onda. El hostel tiene una muy buena vibra, pude conocer mucha gente. Oaxaca es una ciudad increible, estuve más de un mes y no me arrepiento. Me hubiese gustado quedar más tiempo!! Pierre was a very helpful guy, always with a great attitude and willing to help. He is always friendly and polite. Pierre was good with our guests and with our staff. He heped us painting the hostel and did a great job. I highly recommend him to work with you. I was lucky enough to spend a few weeks here and I wish I could have stayed longer. The work was not difficult and I had a lot of free time off to see the city and the surrounding areas. The breakfast was great thanks the the great cook, Alondra, that prepared everything. Erika was very sweet and understanding. The other volunteers that were… read more lovely and it felt like a little family lived there. I was sad to leave but hopefully I have the opportunity to return one day. Im grateful to have known everyone I met. Martín is a very friendly guy, you feel confortable around him. We enjoyed his cooking and his friendship. We highly recommend him. We would be happy to have him again. He is a very nice guy with a good attitude. Always willing to help. Proactive, he helped us improving our aquarium that needed a lot of love. We recommend him at any position. Courtney is friendly, respectful and reliable with everyone. She's took his duties very seriously and we could always count on her. She was good and kind with our guest. We highly recommend her and we would be happy to have her back with us! We highly recommend Jan, he is committed volunteer. He's friendly, honest, easy-going, quick-learner. Carolyn is a very dedicated and commited volunteer. She's friendly, honest, easy-going, quick-learner. I can't reccommend her more! This was my first Workaway experience and I feel very thankful I chose to volunteer at this hostel. The volunteers are more like a family than co-workers which makes you feel right at home. 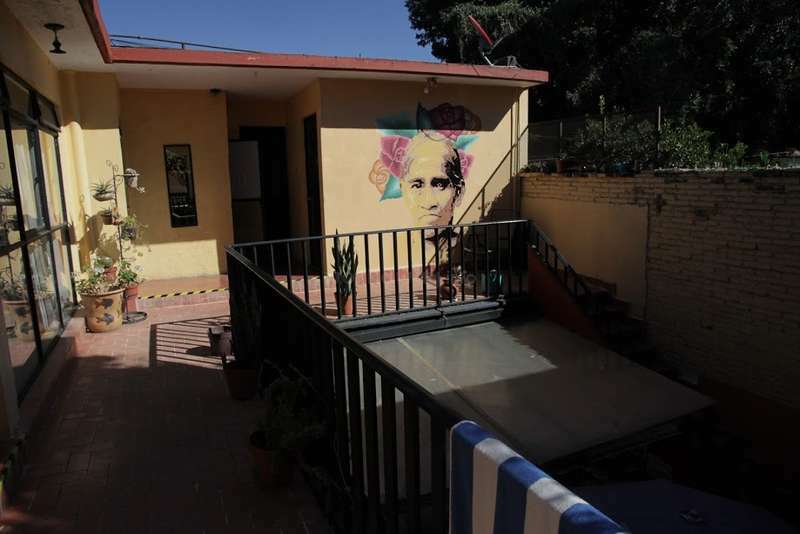 The hostel itself is in a great location, on a quiet street but very close to the city center. Erika is a great host and makes you feel right at home! She is… read more very helpful and happy to answer any questions you may have. I had a great time here the hostel has a good vibe and Erika, Perla and Alondra are lovely and so welcoming. The reception work was straightforward, even with very basic Spanish, and was a great opportunity to practice. Oaxaca is also an awesome city and a great place to spend some time! Michelle is a responsible person, honest and reliable. She is friendly and got along with the guests and created a good atmosphere. I had an amazing time in this Hostel, it was more then just a home, we were like a family here. We lived, laughed, cooked, watched movies, went out etc. all together. Erika is such a warm and lovely person and very flexible and open if there are some special needs. Thank you so much Erika, gonna miss you too. Salome was the perfect workawayer, very positive, willing to help and willing to learn. She helped us to organize some workshops in the hostel. She is Sociable, good with customers, a great multitasker and such a good cook! Thank you for your help you'll be missed! Sam became a value member of the family. He was willing to help even if it wasn't his shift or his duties like cleaning the common areas or helping in the kitchen. Sam was the only one that used to clean the aquarium without being asked to (Fish are missing him too). He was there when we need him, he is a very good friend. Well, I have not found any word to decribe my looooooong stay here in this hostel but just "a great family!". I stayed here 6 months! Yes, I had 6 incredible months here. Everybody became part of my family; Erika such a great owner, Doña Alo, amazing cook and company, my friends who became my real real family, I miss you, so much, I learnt Spanish… read more here, I learnt how to overcome the problems, I learnt that people are changing a city´s atmosphere, I learnt that sharing is caring. How many times I have to write that I miss this hostel so much, I dont know, but I truely miss my home in Oaxaca, Erika; a huge special thank to you for hosting me for such a long time and always supporting me, I owe you guys so so so so much!!! Thank you for your great hearts, thank you for understanding my situation, thank you thousands times! Los amo, los extraño pero espero que nos vemos pronto weeeee! Love!!! We were really glad to spend some time at this hostel. The stuff is very kind and the ambiance welcoming, makes you fell like home. We recommend this place, you have time to enjoy the beautiful city of Oaxaca and it's a really good place to meet people all over the world, to taste Mexican food and to really feel the meaning of travelling. Nos sentimos muy bien con Diana y Bastian. Son muy responsables y amigables. Hiceron lo que se les pedía y eran flexibles. Los recomendamos para trabajar con ustedes y los recibiremos en caso de que quieran regresar. We really enjoyed when Cathy was with us. She is a friendly person. She is enthusiastic and always willing to learn and help. Larissa is responsable, punctual and friendly. We enjoyed having her here. She was honest, flexible and has self initiative. We were very happy with Nigel. He is a hardworking person, always willing to help. He is a reliable person. We highly recommend him, and we would be happy to have him again with us! We were happy working with Caleb, he is a very nice, easy going and friendly guy. He is responsible and always willing to help. We consider him as part of our family. I loved volunteering here! Perla and Alondra are very friendly and welcoming. 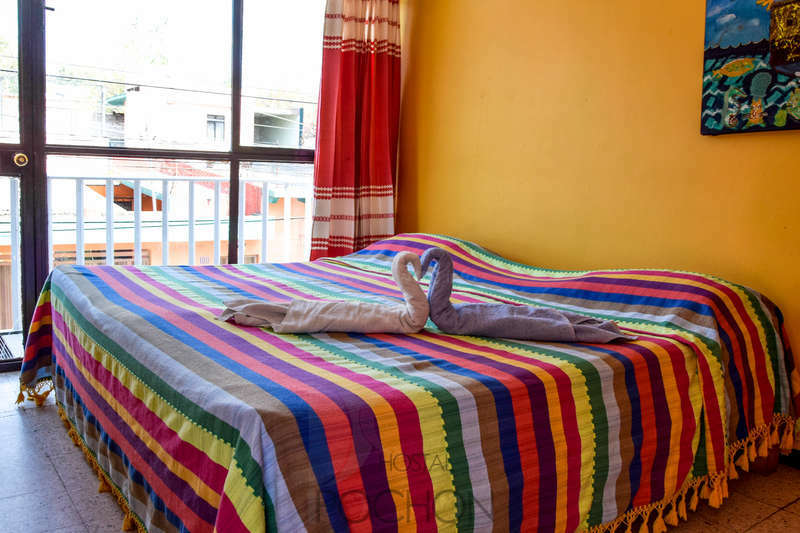 I feel like this hostel and the city of Oaxaca are perfect for people who are new to Mexico. Erika and Perla were very welcoming and kind hosts. The hostel was nice and chilled, I was there during the low season, so the help was easy and not too exhausting. Laura is a very nice girl, she is friendly and responsible. She is easy to work with. We recommend her to work in your place. wonderful place. not only the hostel but the city itself. we stayed with the hostel for a month and easily could have stayed a couple more. very easy going atmosphere. duties are simple and pretty much self explanatory. people working there are very friendly and always helpful. all the best!! Kasparas and Gabriel are very nice people, they are kind and friendly. They are responsible and punctual. I highly recommend them. We were happy with their work. He is a very great person. We really enjoy having him with us. He is part now of our hostel family. Brice is always with a great attitude, he gave the hostel a great atmosphere. We were very happy to have Anis with us. He was always willing to help, with own initiative and was a great company. Anis is also a responsible, punctual and easy going person. We Would definitely recommend him to help you! I had a wonderful experience at Erika's hostel. This was my first workaway, and left me with a great impression. The staff were amazing - Perla was always there to help, or just a phone call away. Doña Alo was equally awesome - her cooking and jovial spirit were much appreciated. The guests coming in and out of the hostel were very interesting.… read more The location is great, it's not in a very loud or busy area, and close enough to walk anywhere in Oaxaca within 15 minutes. The workload is extremely laid back. All in all, I would absolutely recommend staying here and helping out while getting to know incredible Oaxaca! Great hostal had a great time there. Erika, her family and the others that work there are fantastic to work with and to have around. Would defenitely recommend it. He is a nice guy. He is responsible, friendly and always with a great attitude. He is a very nice guy, always willing to help. He gave a good vibe to the hostel. We'd be happy having him again in the hostel. We were very happy having her with us. She is an honest, responsible and a hardworker person. She is friendly and easygoing. We would love to have her back again. 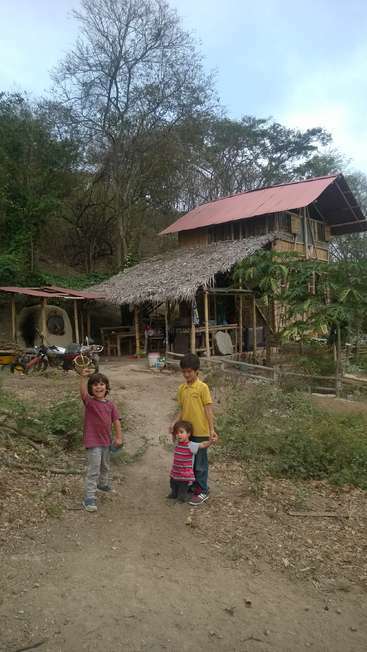 My first workaway experience was here and i am glad and grateful to find this place in my visit to Oaxaca city. The ambient in the hostel is really nice and confortable, I met a lot of people and made new friends. I had the chance to help with my web design services and I am glad they liked it. Jetro is a very creative person, he helped us making our new webside. He is friendly and flexible.